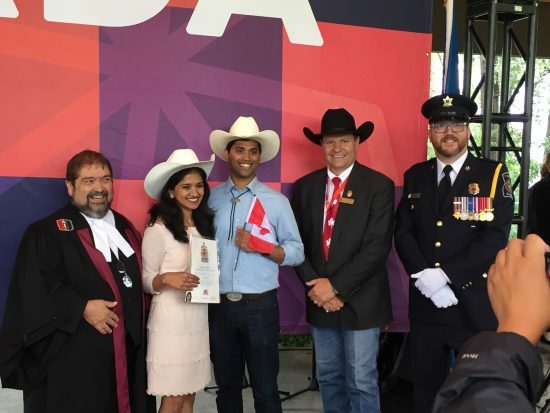 Fifty community members, from 18 different countries, officially became Canadian citizens on Stampede Park yesterday as part of the new special Canada 150 day. 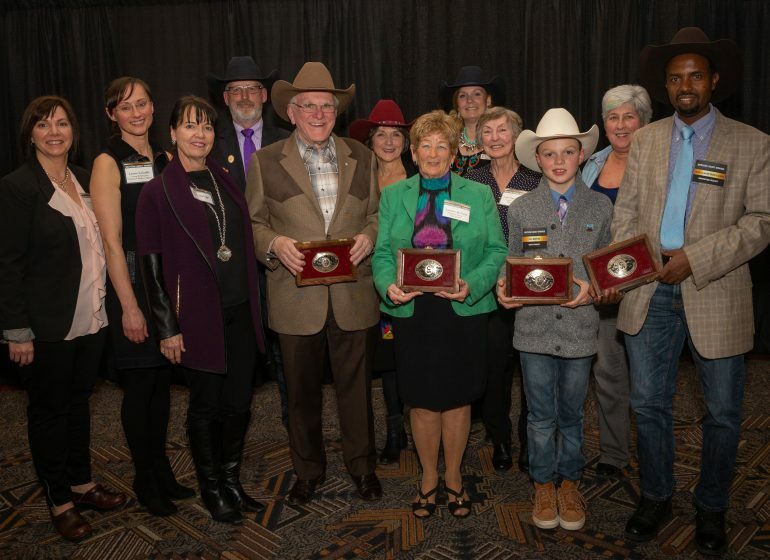 In his address to the new citizens, Judge Woodard spoke to the importance of volunteering in and contributing to the community. 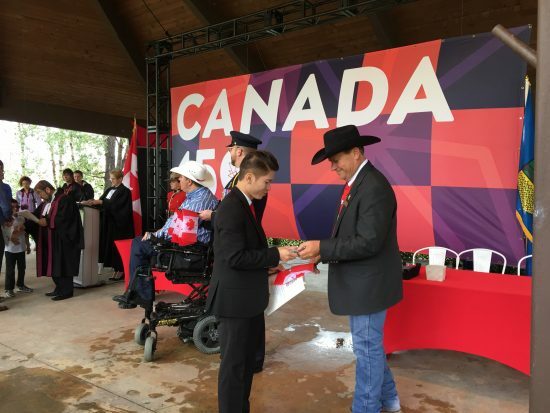 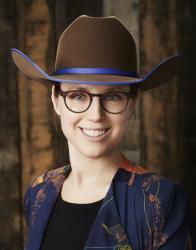 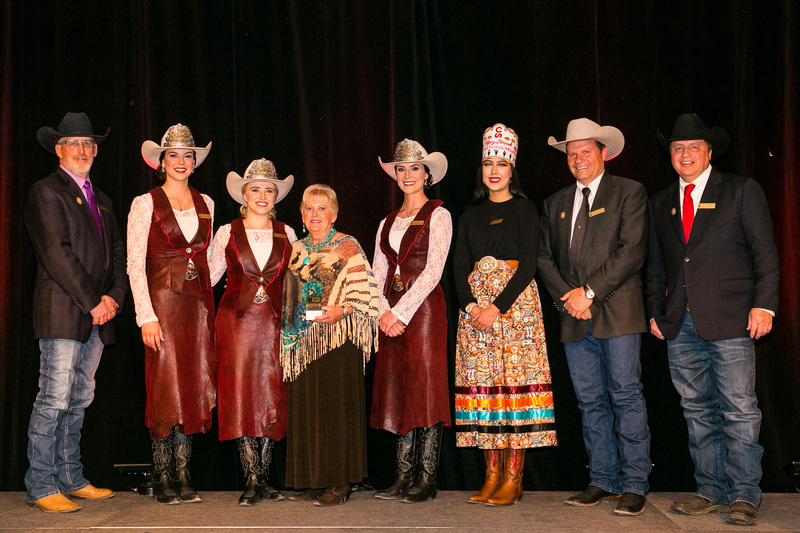 Dana Peers, first vice-chairman of the Calgary Stampede board of directors, followed by inviting all new citizens to make the Stampede a part of their Canadian, and Calgarian, experience. 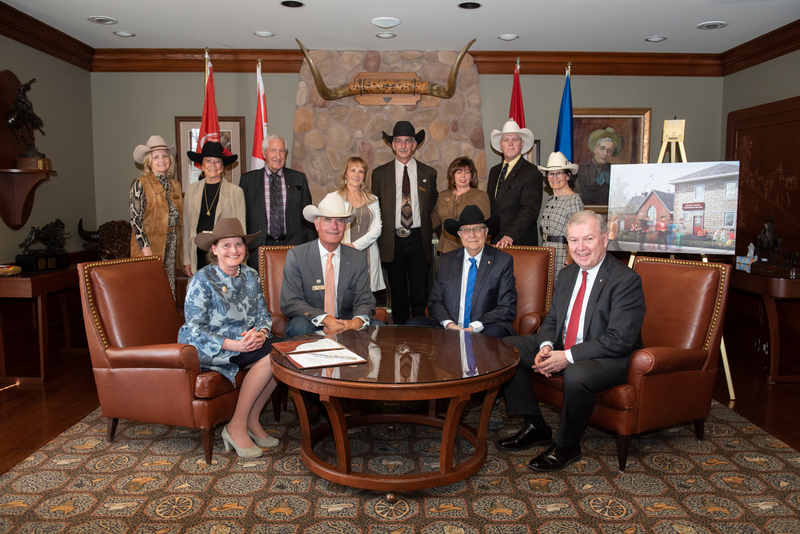 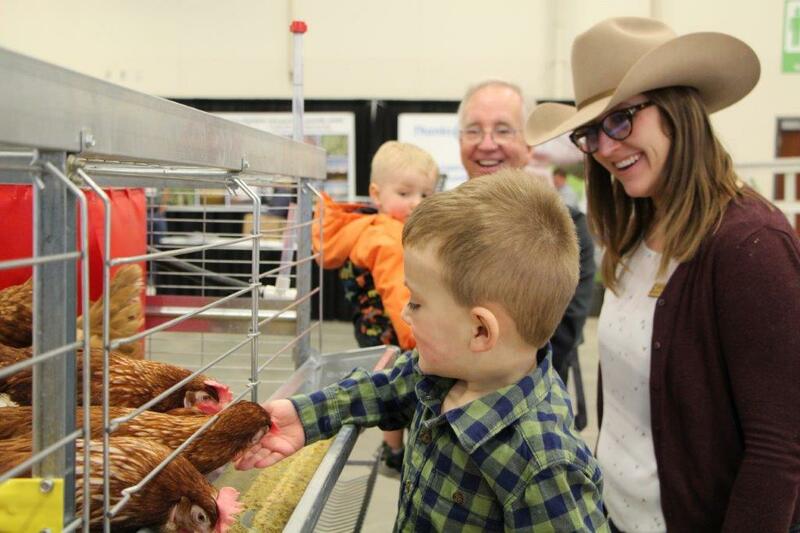 Dana invited them to celebrate the Stampede Spirit on Stampede Park and in their own neighbourhoods year-round. 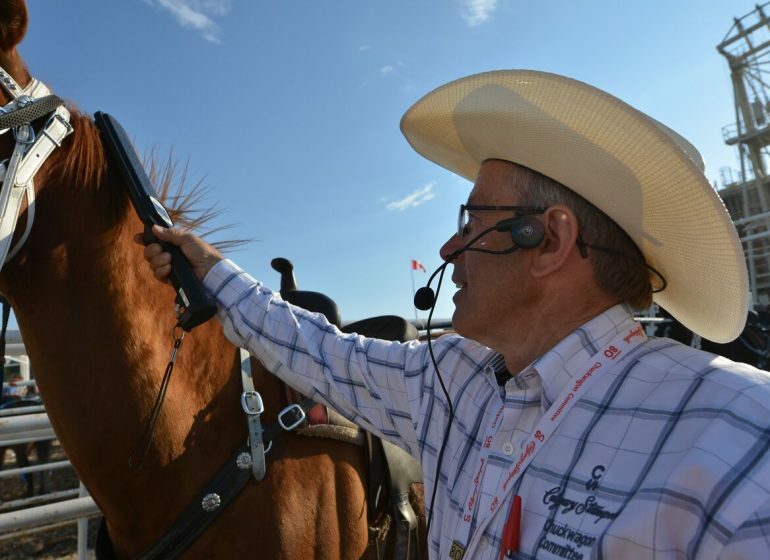 Everyone joined in to sing O’Canada to the musical styling of the Calgary Stampede Showband who made a surprise appearance and thrilled the guests with this extra-special honour. 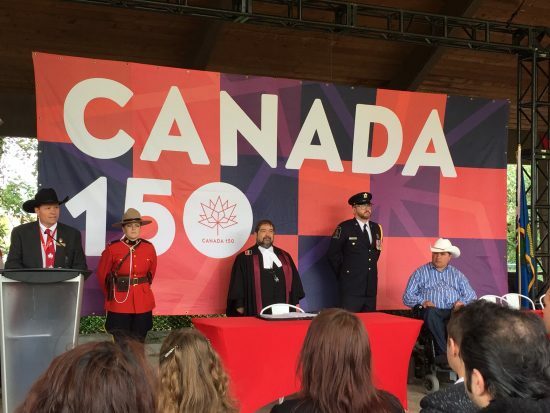 After the official oath, and following the speeches, the new citizens collected their official certificates of citizenship, and Canada flags and pins. 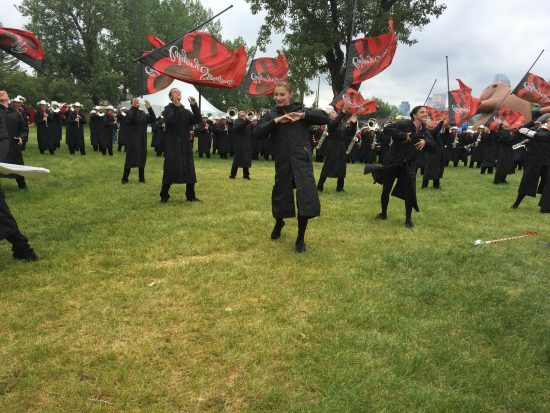 The celebration was far from over! 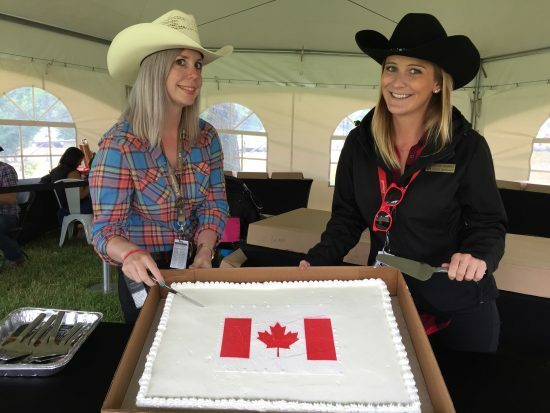 There was still birthday cake celebrating Canada’s 150th birthday, and every new Canadian was given a Canada T-Shirt in the colour of their choice. 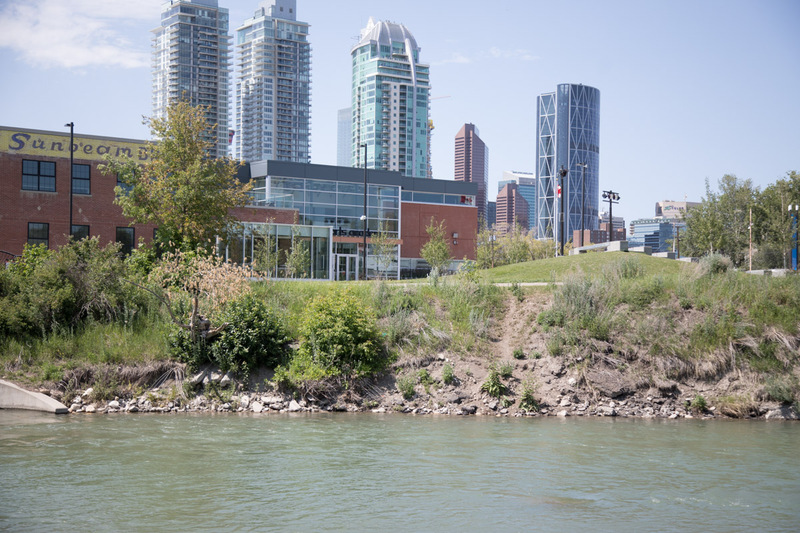 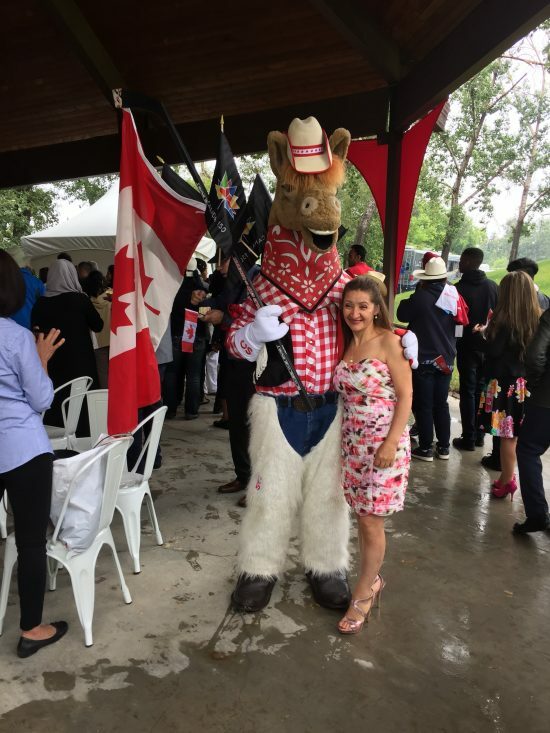 But that wasn’t all, to help give the new Canadians an extra-special welcome, Community Park South was filled with extraordinary Canadian-inspired fun! 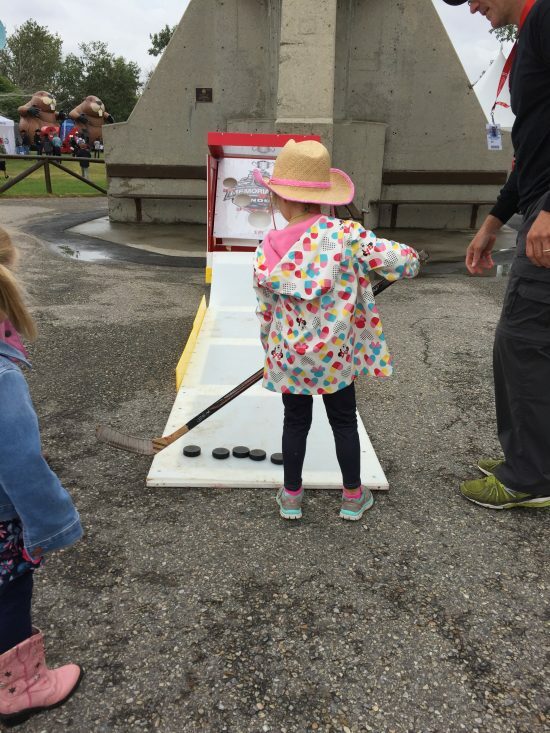 This included massive inflatable beavers and Mounted Police, a visit from Harry the Horse, more birthday cake, and inflatable street hockey zones. 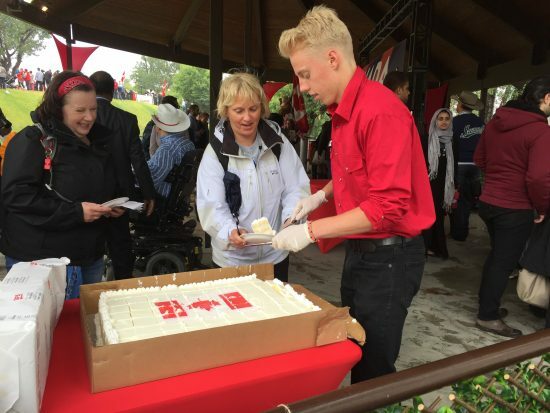 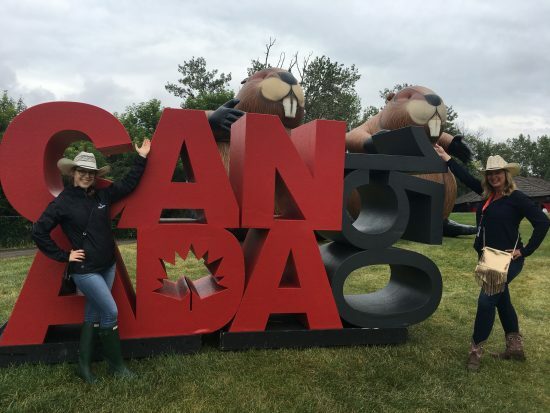 All in all, the two lessons learned from the day is that community spirit really does drive a country, and that a little rain can`t stop Canadian pride, which is why the Citizenship Ceremony had such a fantastic turn out! 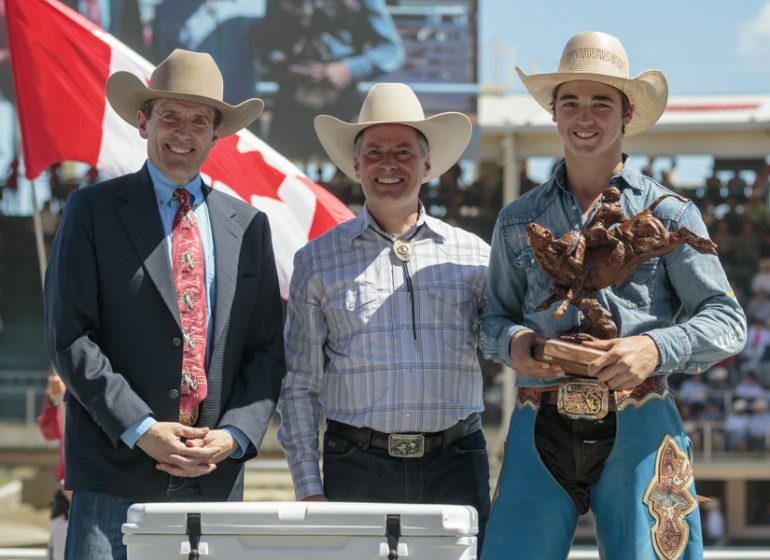 BBQ on the Elbow crowns their barbecue champions! 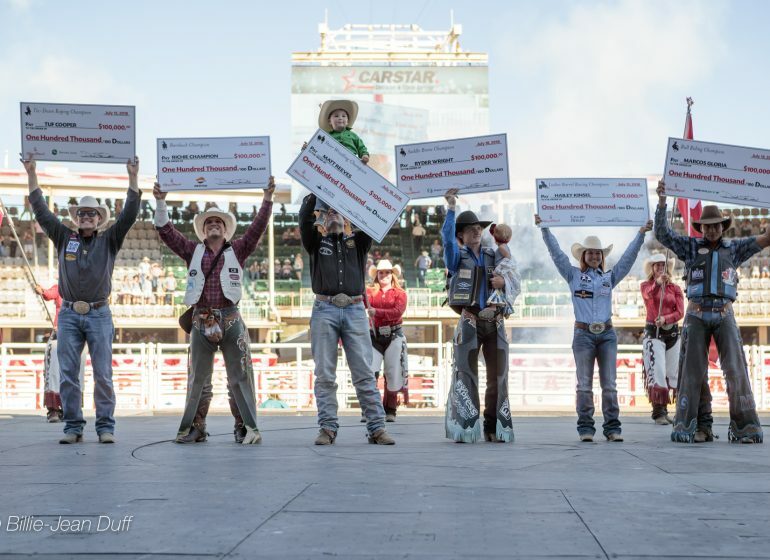 Showdown Sunday at the Calgary Stampede lived up to every inch of its world class reputation.